One of our favorite resources is on sale this week, and it is such a great sale, I just had to share it with you!!! You can see our review of NotebookingPages.com here. If you’ve been thinking about getting a Lifetime Membership to NotebookingPages.com, now is the time! Don’t miss this amazing deal! 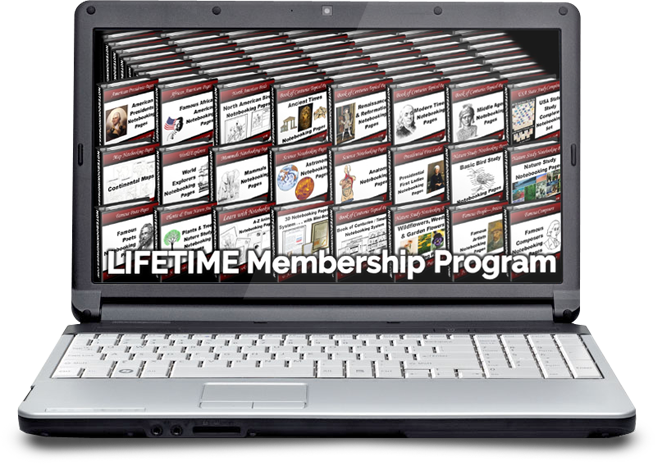 This is SUPER discount on Notebooking Pages LIFETIME Memberships … don’t miss out!